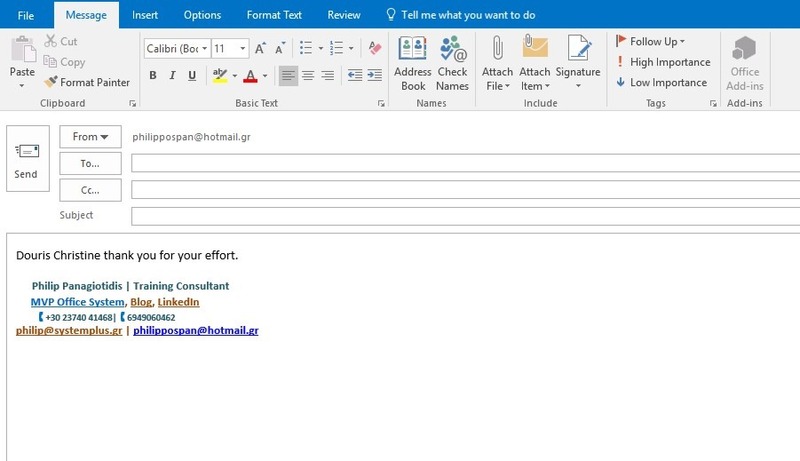 In the image below I have created a New E-mail Message and in the Body of the Message. I also have typed in the message that I want followed by a Name. For this example the name is Douris Christine. Now just in case we don’t remember who this person is, and we want to refresh our memory, all that we need to do is to select (highlight) the Name as shown below and do a right click on it with our mouse. Straight away a shortcut menu appears, where we just select the command Who Is… as shown below. Once the Who Is command is selected from the shortcut menu, the Contact dialog box will appear with all the information that we have added for the specific Contact. 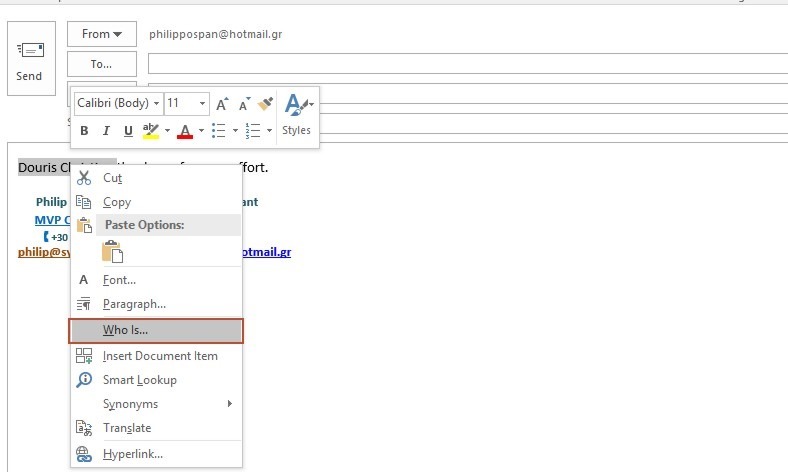 Quite a neat feature available in Microsoft Outlook 365. The only thing necessary is that we must have the Name that we type in our Message also as a Contact in our Address Book. This way, we can see, look through and remind us of Who Is the specific person. If we have more than one Address Book, the Check Names dialog box will appear where we must select the Contact that we want and then press the Ok button. The selected Contacts Name will be displayed. 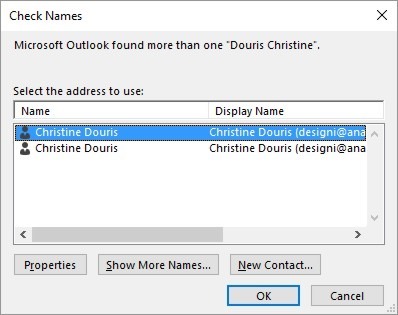 Personally, I am a person who remembers faces and not names, so I found the Who Is feature in Outlook 365 quite helpful. 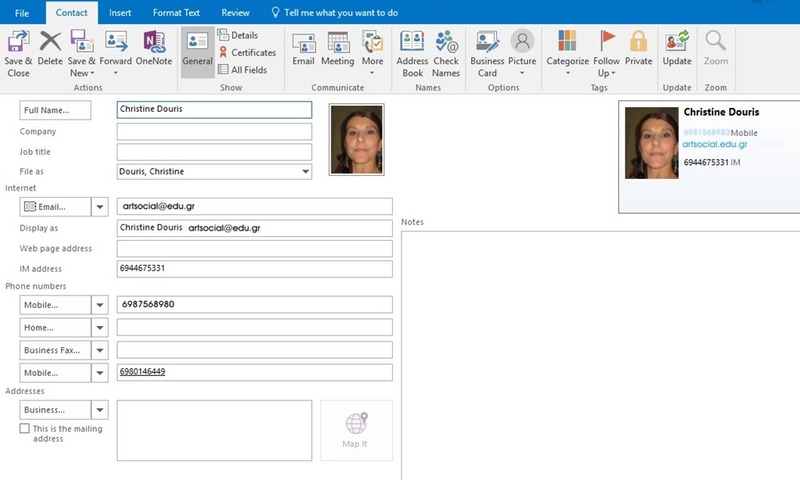 Below you can check out the video describing the feature Who Is In Microsoft Outlook 365. Posted on January 24, 2017, in Microsoft Office 365 ProPlus English, Outlook 365 English and tagged Address Book, Body, Contact, Email Message, Office Smart, Office System, Outlook 365, Smart Office, Who Is It Feature in Microsoft Outlook 365, Who Is…. Bookmark the permalink. Comments Off on Who Is Feature in Microsoft Outlook 365.